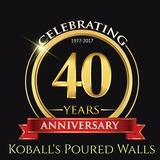 Welcome to Koball's Poured Walls, Inc.! We are the leading provider of quality concrete work in Southern Minnesota since 1977. 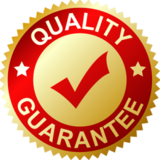 When you hire Koball's, you are receiving the finest quality and workmanship possible in the concrete industry. Our fantastic staff are the best in the industry and have a combined 350+ years of poured wall and flatwork experience, guaranteeing a level of quality few can offer. custom decorative concrete and energy efficient foundation options. Treat yourself to the superior products and workmanship of Southern Minnesota's premier concrete contractor. Contact our office at 507-282-5122 for a Free Quote. Please explore our site to get new ideas for your current project!